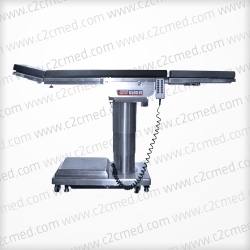 The Skytron 3100 General Purpose Surgical Table has been optimized for all procedures requiring optimal C-arm access. 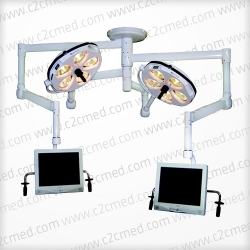 The Skytron 3100 General Purpose Surgical Table has been optimized for all procedures requiring optimal C-arm access. 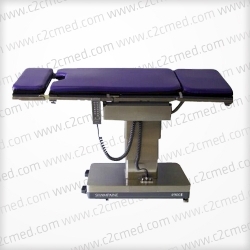 The 231/2″ Sliding Top is a key feature of this table making it well suited to lower abdominal procedures such as GYN, Urology, Hip Revisions and Ureteroscopies. 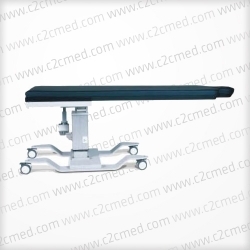 Despite the longitudinal travel of 231/2″ this table is still capable of supporting a full 500 lb patient regardless of the position required for surgery. 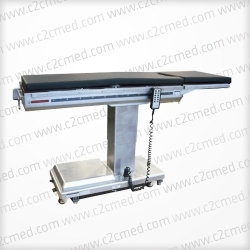 The capabilities of the table have been further enhanced by the 7 inch lift provided by the Kidney Bridge.